The 9102 Omnicell is designed for use in legal for trade weighing applications that may require Omnicells with an NTEP Certificate of Conformance. The 9102 is Factory Mutual approved for all classes, groups and divisions. 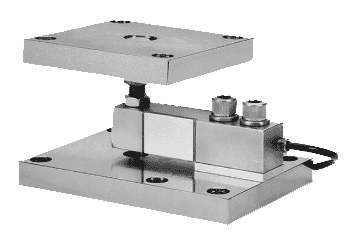 These assemblies feature a stainless steel, hermetically sealed load cell, mounting assembly and hardware. They are height adjustable and feature an articulating top load plate. The Omnicell 9102 is also available with a nickel-plated, alloy tool steel load cell with a mild steel zinc coated assembly.